Your family, coworkers and friends will appreciate your thanks with this ecru card. 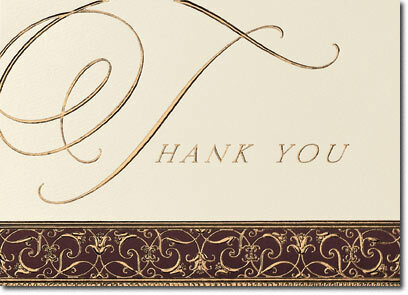 Gold foil elegantly decorates the burgundy band on the front of this card. These cards can be personalized with your company or family name.